According to a 2011 census by Statistics South Africa, there are more than 1 million women in South Africa living with a disability—and 29% of them are unemployed. Human Rights Watch says that more than 500,000 children with disabilities are out of school and the few disabled citizens that are fortunate enough to go to school usually end up at institutions that are inadequately prepared to meet their needs. 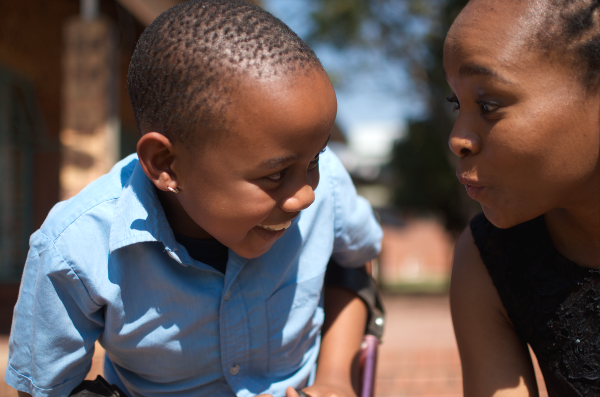 “This means that from the time they start their education, children with disabilities are at a disadvantage, because the system simply isn’t designed to enable them to excel,” says Mpho MacChambers, CEO of VIRYA. Growing up in Limpopo—one of South Africa’s most rural and poorest provinces – Mpho was aware from a young age of the desperate need for economic empowerment. Her mother was the acting principal of a school for deaf and blind children. 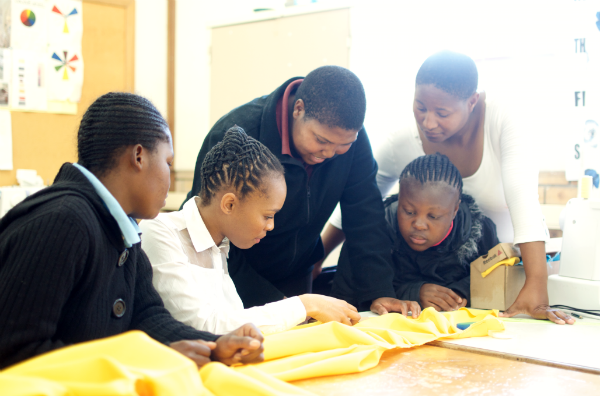 Mpho spent a lot of time getting involved there, and it had a profound effect on her. This inspired her to set up her own business, VIRYA, which initially focused on training companies and people with disabilities through accredited courses that would empower them and promote social inclusion. “Firstly, we had to tackle corporate stereotypes and stigma around disability through sensitivity workshops, and from then on, we could assist companies in employing people with disabilities and ensuring they were treated in a fair and dignified way,” says Mpho. The business and entrepreneurial worlds were new to Mpho, so she turned to SPARK, an NGO that focuses on developing young entrepreneurs. With help, Mpho was able to create a working business proposition and set up a non-profit organisation in order to get the funding and resources she needed to run the training programs. Throughout this time, Mpho always had Limpopo in the back of her mind. “It was there that I was first inspired to get involved in addressing issues around disability, so I always felt that I needed to go back there and help,” she says. She returned to Limpopo and launched the SheCan! initiative, which provides accredited, high-quality training to women and girls with disabilities and helps them get jobs. The programs have already celebrated a number of successes. In Limpopo, 10 deaf women, all under the age of 25, have completed a program in entrepreneurship, as well as the training in South African sign language. One of the women has since been employed by SheCan! and has gone on to teach sign language to deaf peers, as well as to people working for companies and in government. 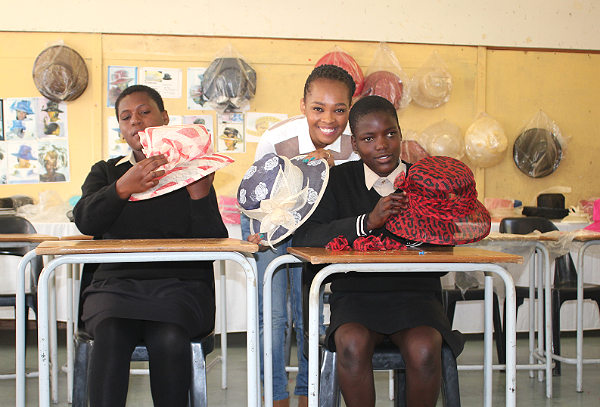 By 2020, Mpho hopes to educate 2,000 women and girls with disabilities and secure employment for 1,000 of them. 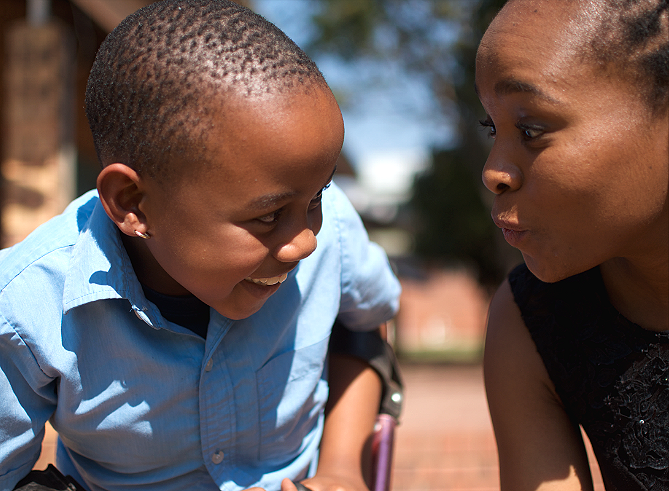 “While this is our vision, my real hope is that this happens in all provinces across South Africa—not just Limpopo—and eventually reaching all women and girls with disabilities who have been denied access to quality employment,” she says.